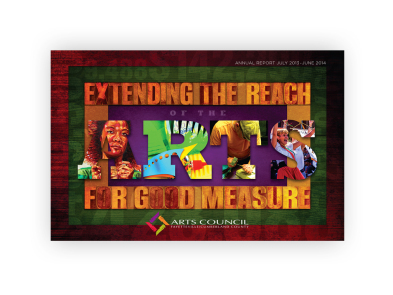 The reach of this organization goes far beyond art exhibits and cultural events. As the primary steward of public and private funding for local arts, culture and history related activities, the Arts Council awards grants and administers programs in partnership with area agencies to stimulate community development through the arts. Hodges support for the Council includes producing their Annual Reports. 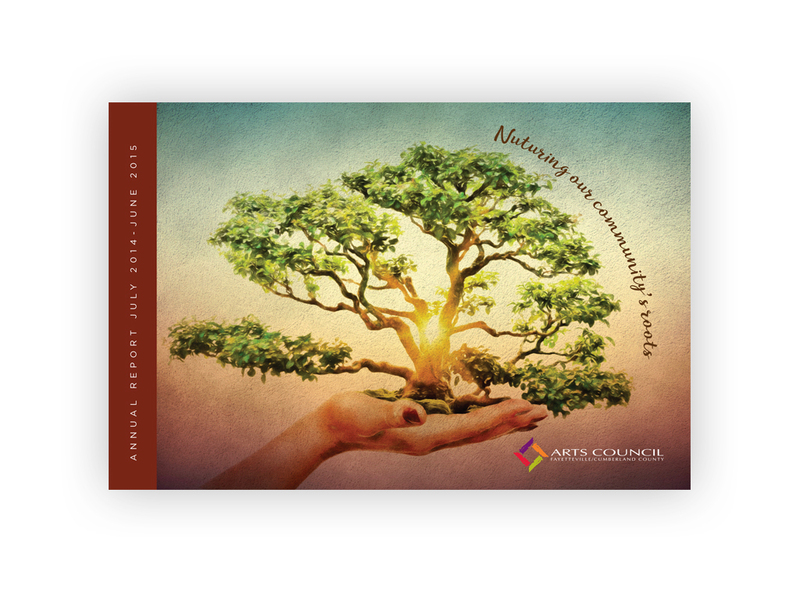 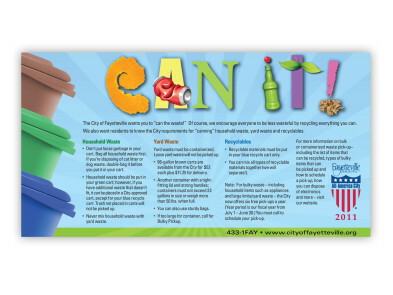 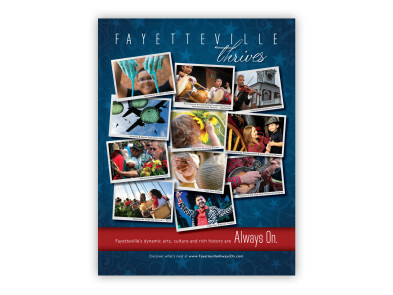 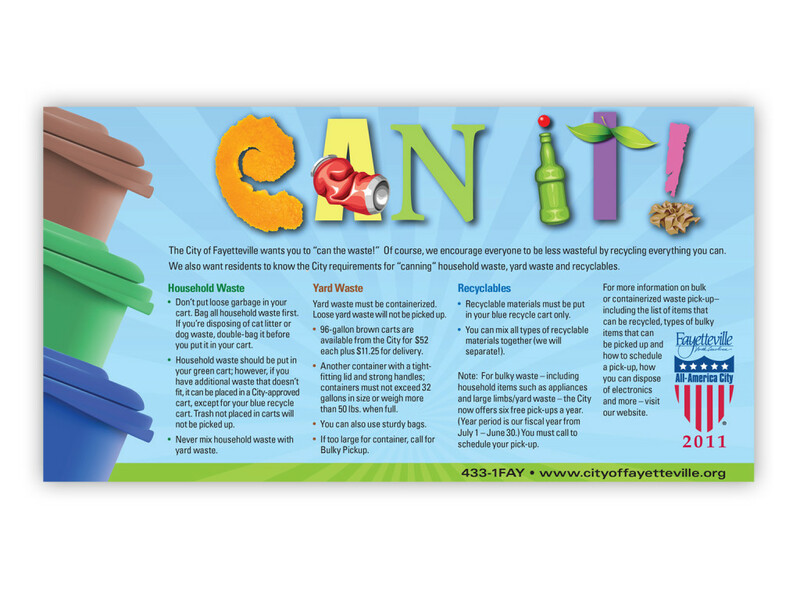 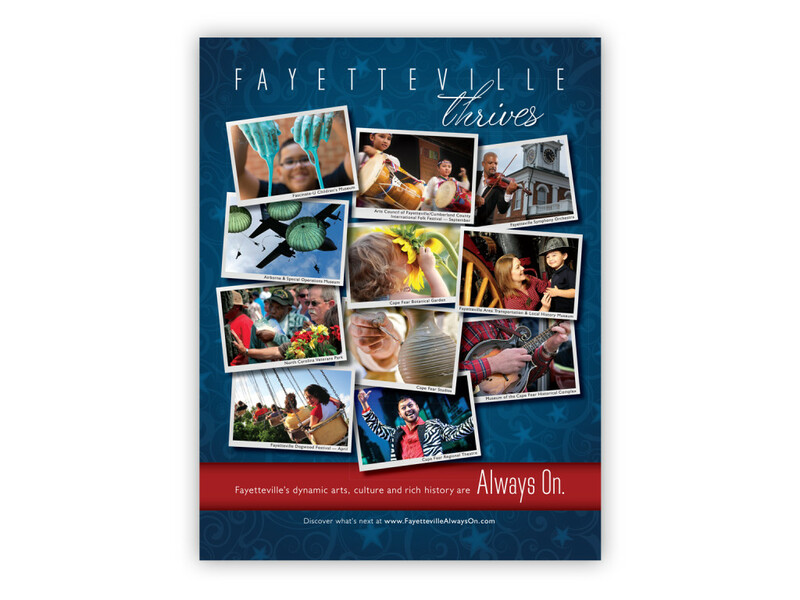 These valuable and comprehensive publications provide a yearly account of the Council’s activities for donors, members, sponsors and funding partners. 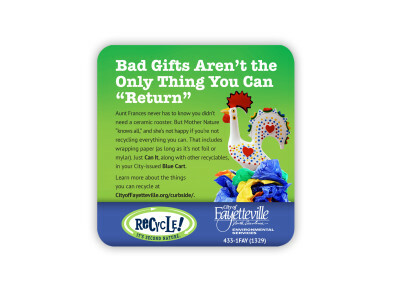 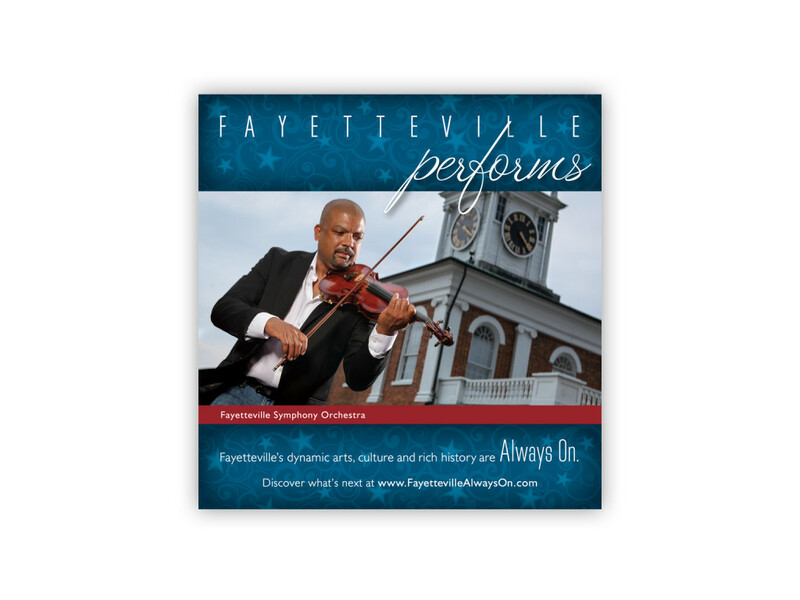 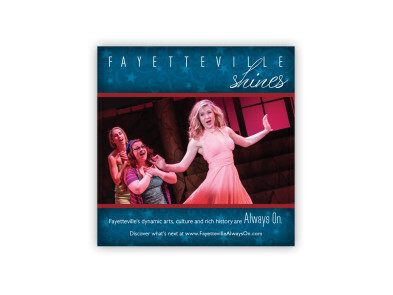 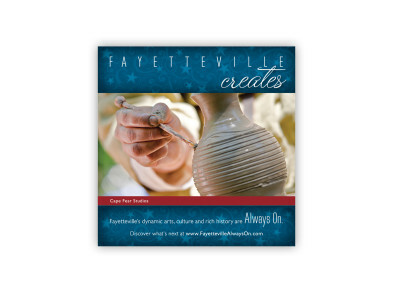 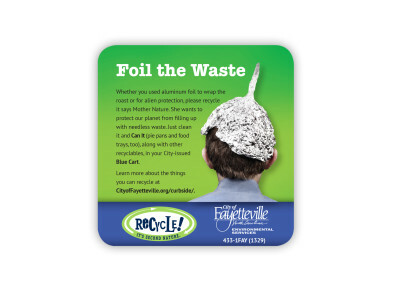 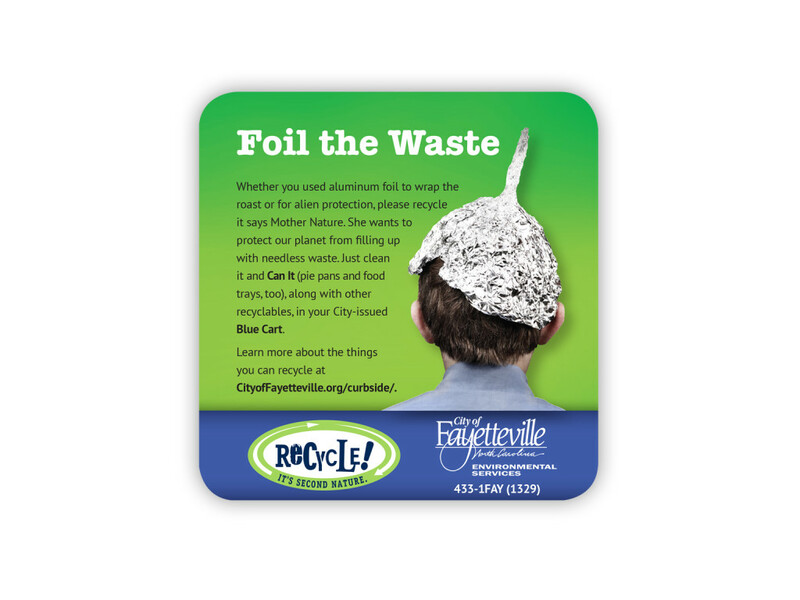 In addition, they are used as year-long promotional pieces to educate, build awareness and garner support for the Arts Council. 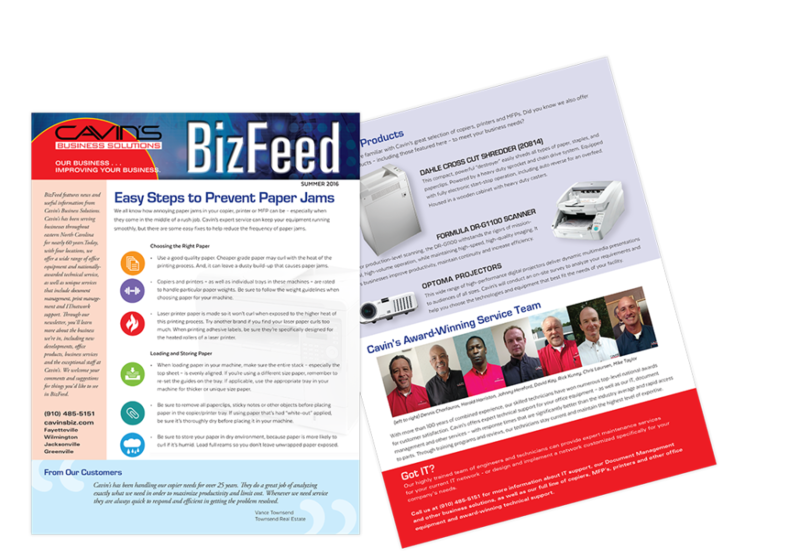 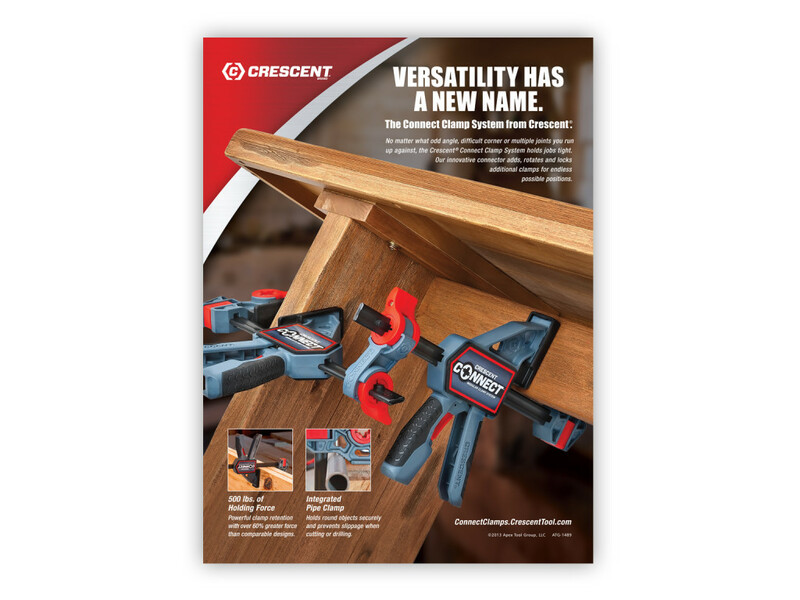 For Cavin’s – a supplier of office equipment, maintenance and unique business services for clients throughout eastern North Carolina – Hodges helped them launch a quarterly publication named “BizFeed.” The newsletter was implemented as part of a content marketing strategy, designed to make Cavins top-of-mind among current and potential clients by keeping them informed of the latest industry products, services and tips. 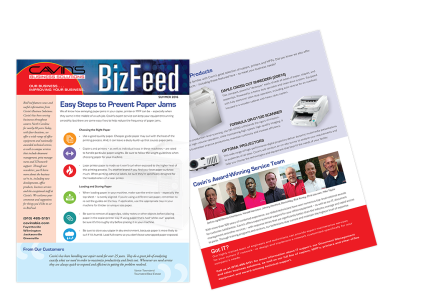 When Cavin’s marked their 50th year of providing office equipment and business services for customers throughout southeastern N.C., it was a perfect opportunity to boost awareness and promote new sales. 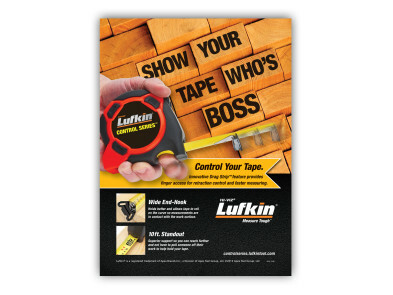 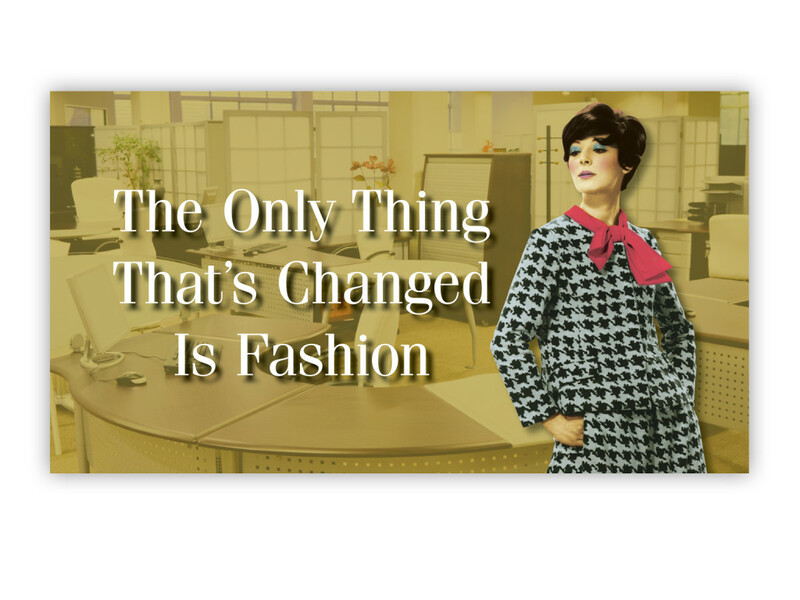 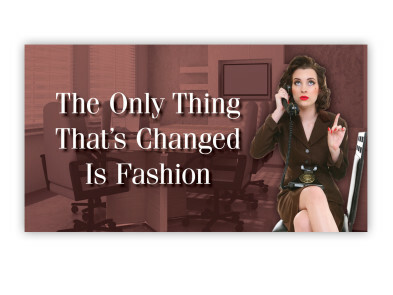 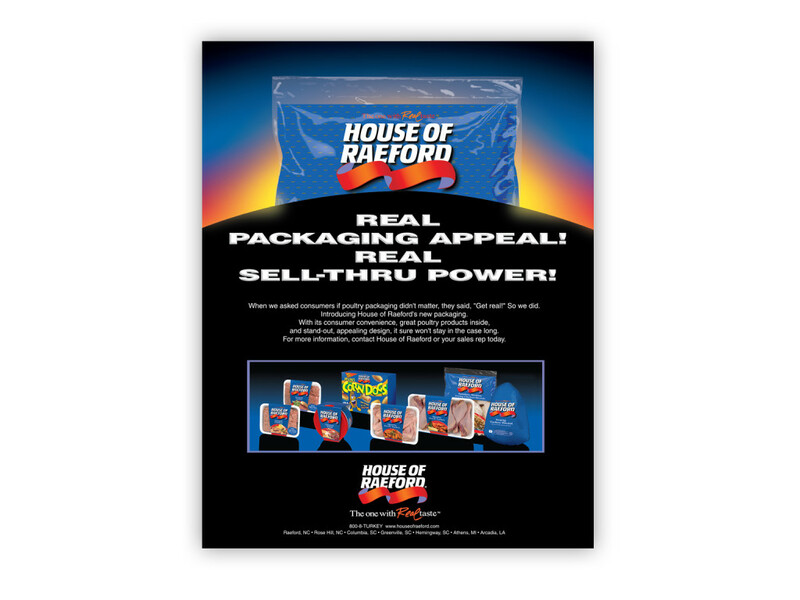 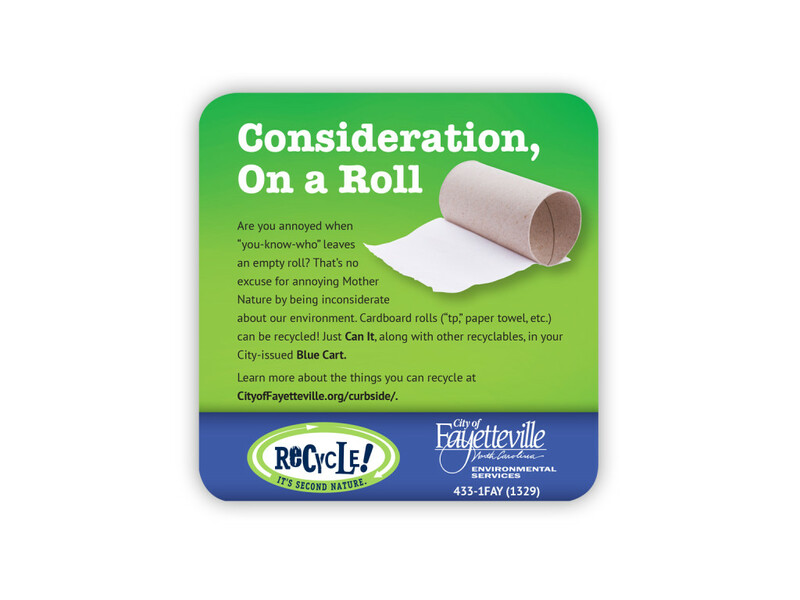 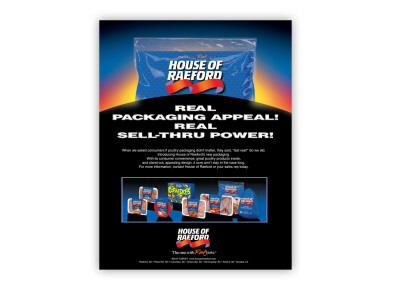 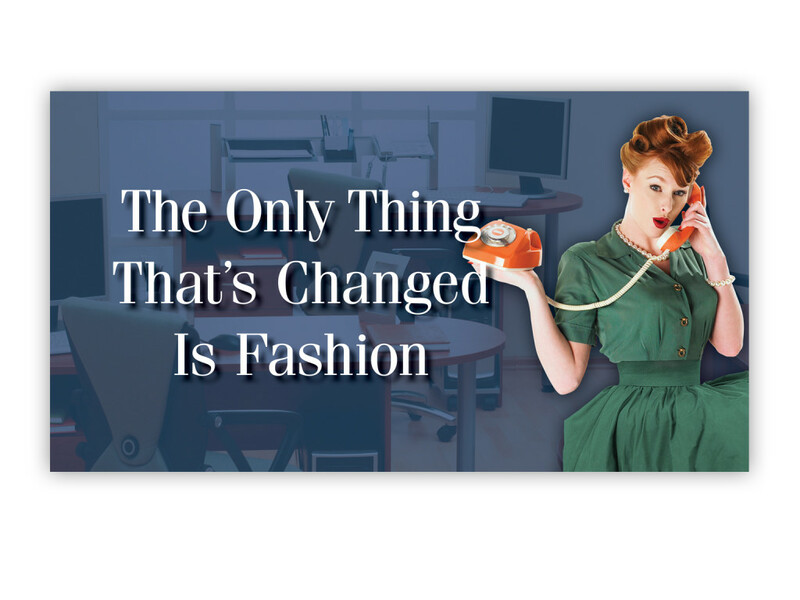 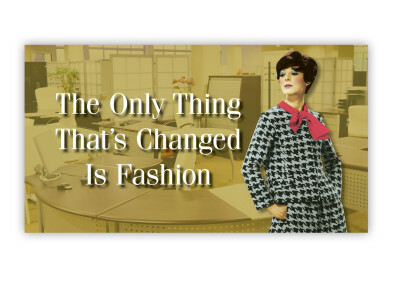 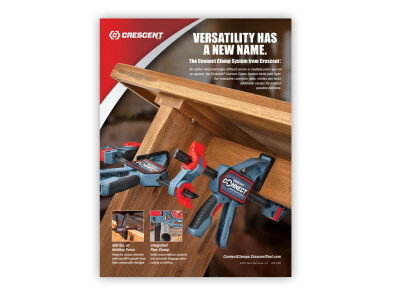 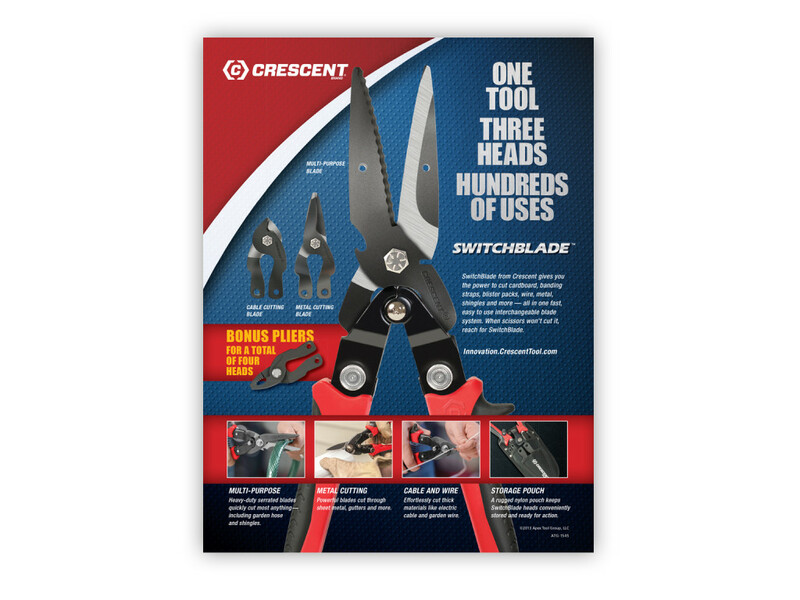 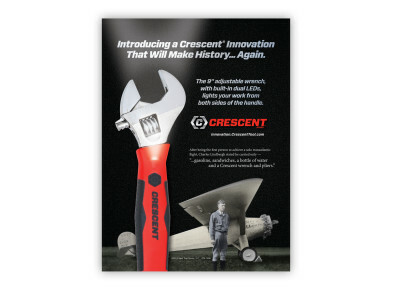 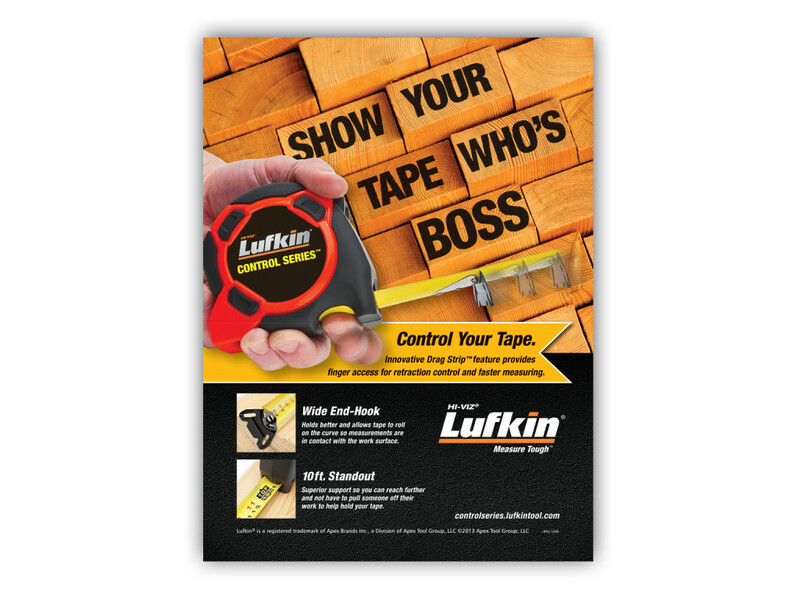 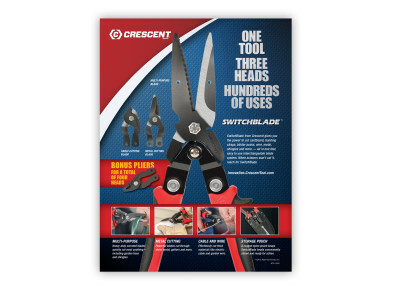 We created a series of direct-mail postcards highlighting how – like fashion over the decades – office products have evolved (and Cavin’s has kept pace), but, more importantly, their commitment to outstanding customer service and technical support has never wavered. 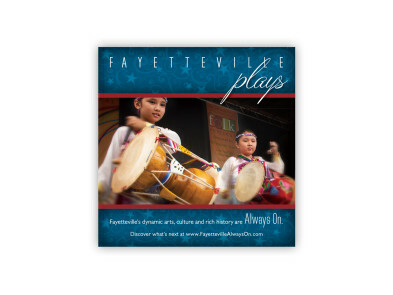 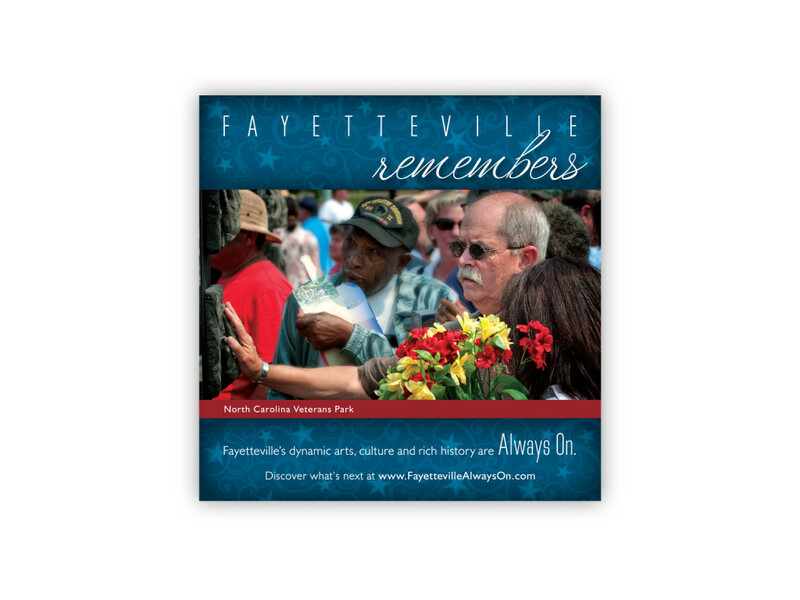 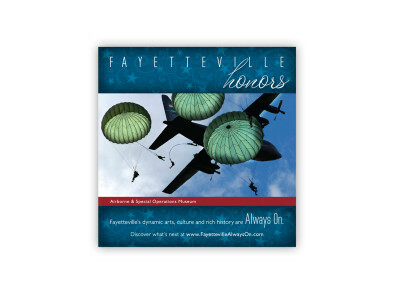 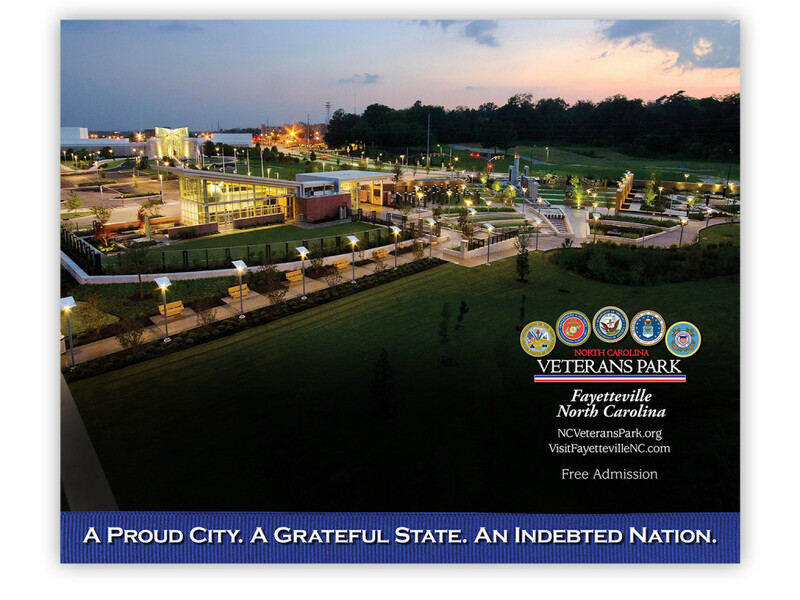 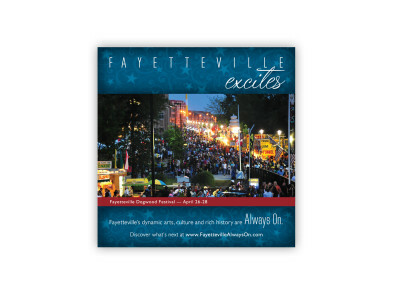 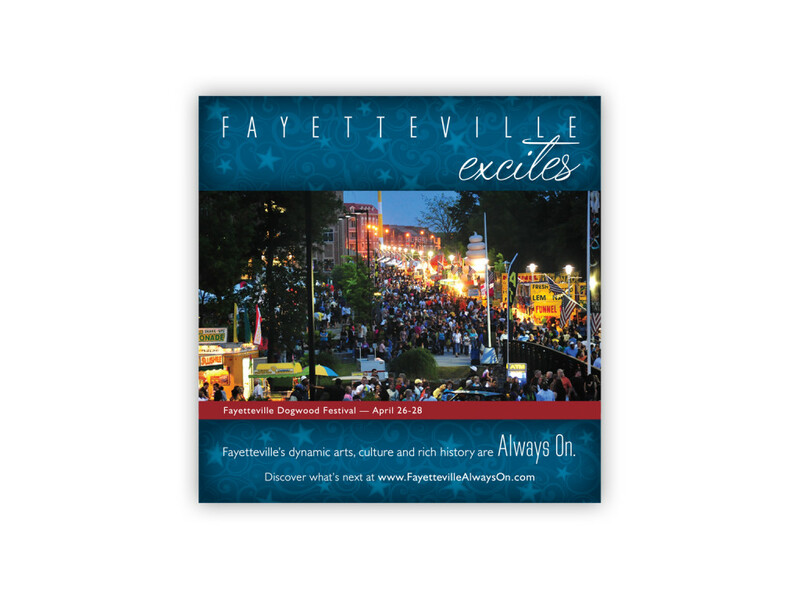 Fayetteville was proud to be selected as the site for the N.C. Veterans Park. 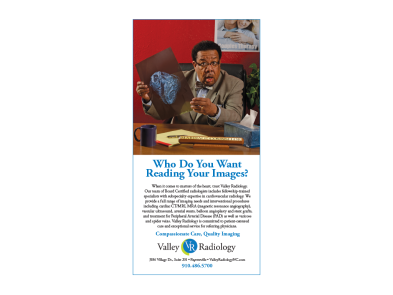 And Hodges was proud that we were chosen to provide their marketing support. To help “introduce” this historic new attraction – where visitors can share the moving tribute of a grateful state, honoring those to whom our nation owes its freedom – we created this poster, featuring a stunning overhead view of the Park at sunset. 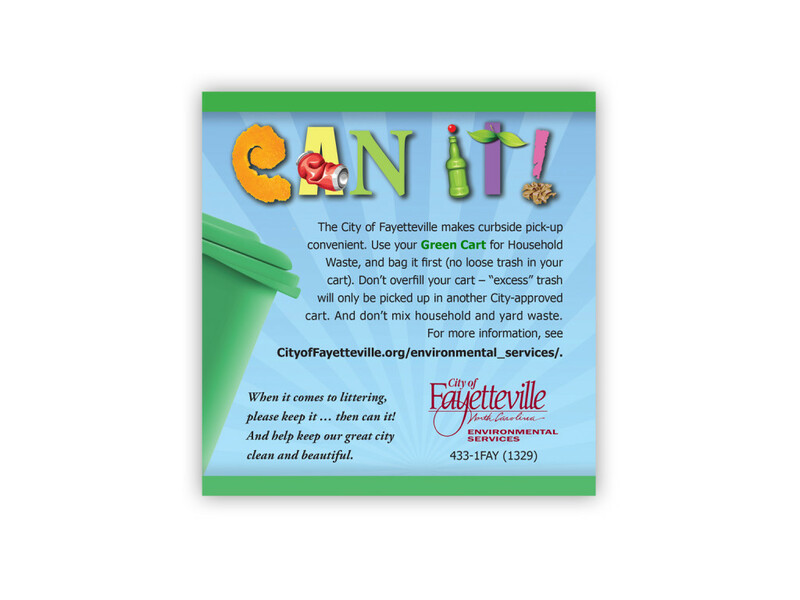 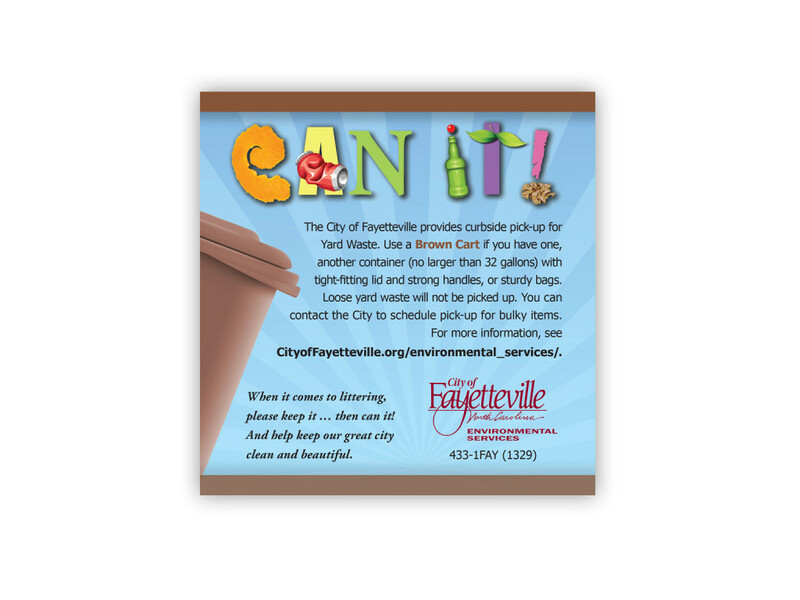 Posters were placed in prime locations targeting visitors, including Welcome Centers along major highways throughout North Carolina. 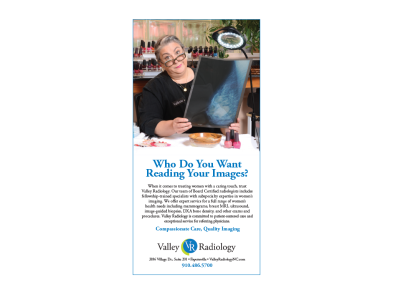 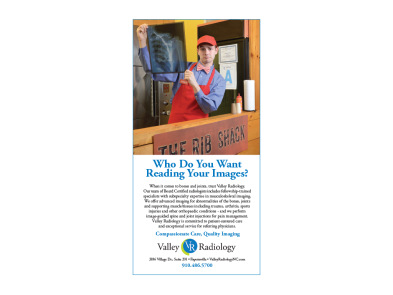 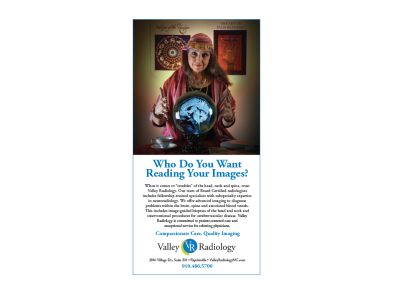 Targeting a two-pronged audience – prospective patients and referring/consulting physicians – Fayetteville-based Valley Radiology wanted to convey the message that their full range of imaging services includes advanced expertise in radiology subspecialties. To capture attention and reinforce the concept, we developed this light-hearted campaign using the headline “Who Do You Want Reading Your Images” with “alternate characters” relating to each field – for example, a “Rib Shack” employee for orthopaedics. 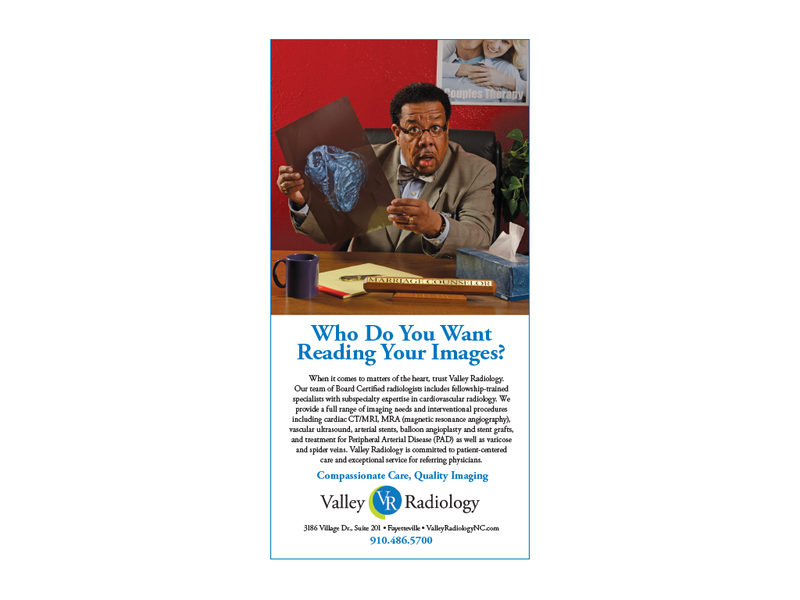 On a serious note, the ads highlighted the advanced imaging technologies and procedures offered for cardiovascular, women’s health, orthopaedic and neurological radiology. 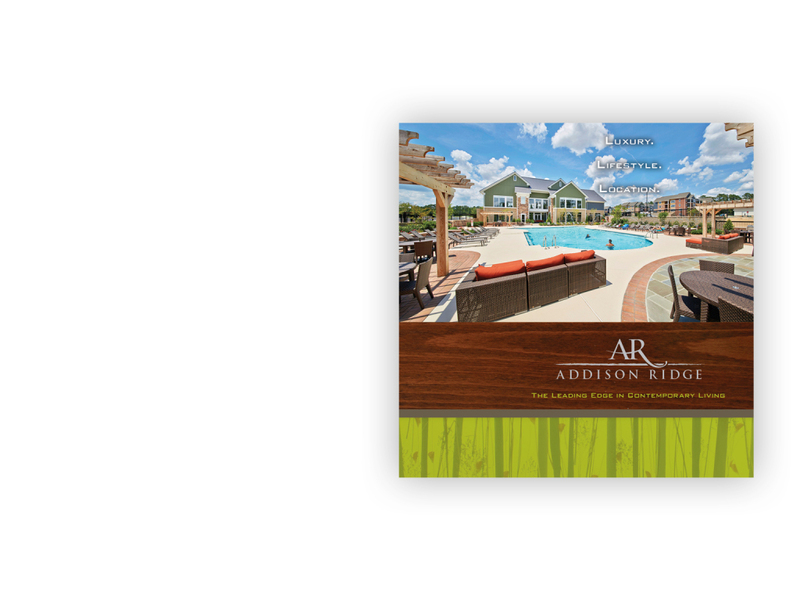 When developers Morganton Management & Development launched plans to build Addison Ridge – an upscale apartment community, unlike any other in Fayetteville – they turned to Hodges Associates for marketing support. 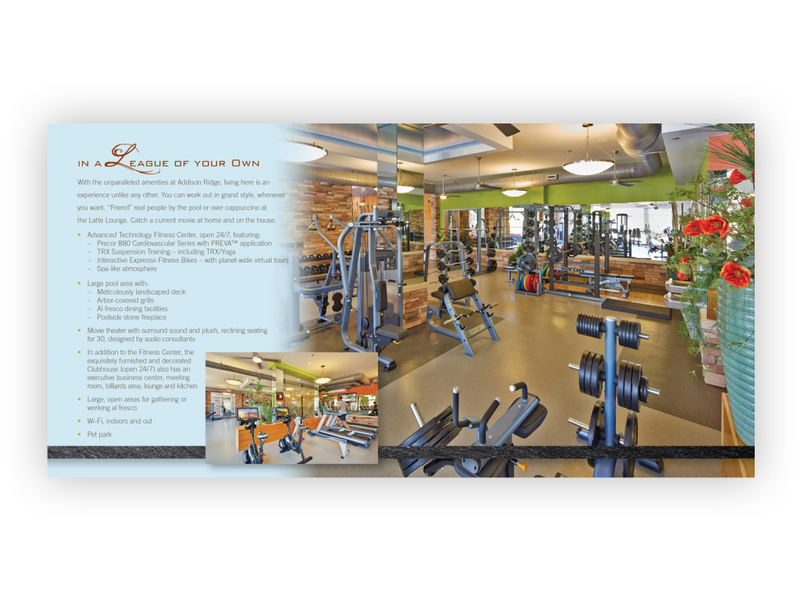 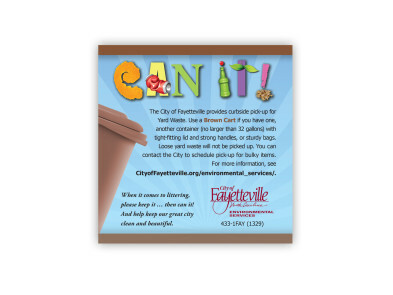 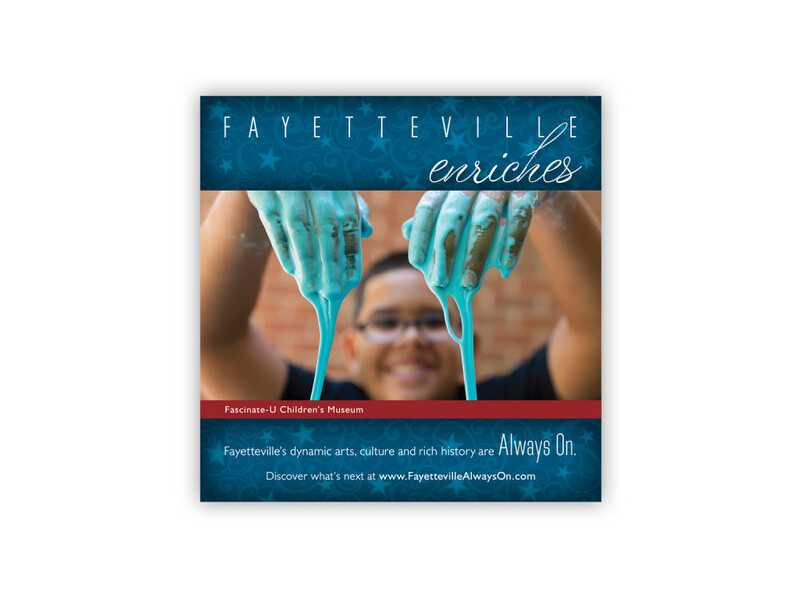 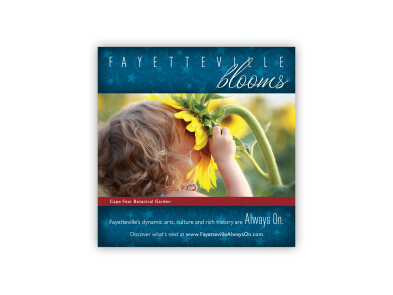 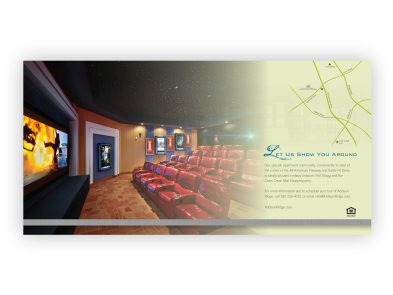 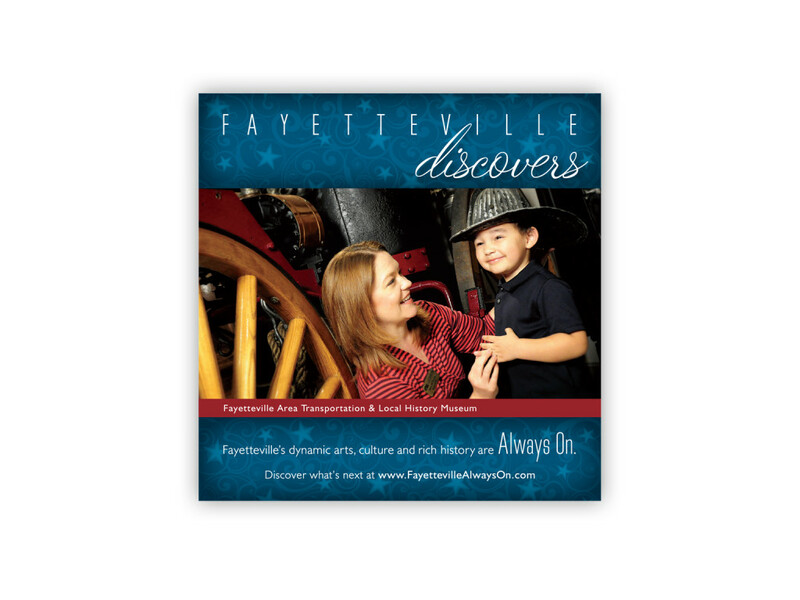 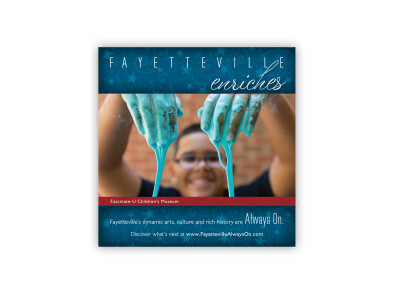 In addition to designing the logo, business cards and other materials (see CORPORATE IDENTITY), we created the all-important sales brochure used to market the community to potential tenants, rental agents and others. 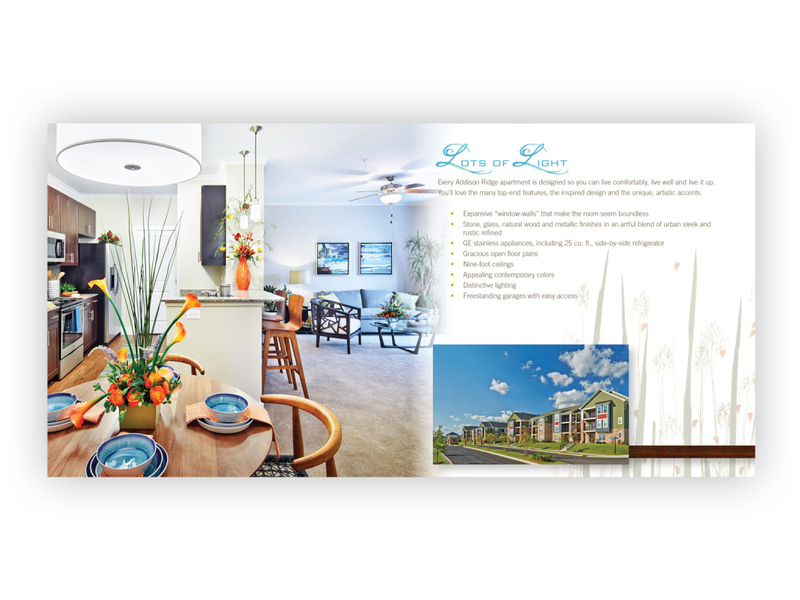 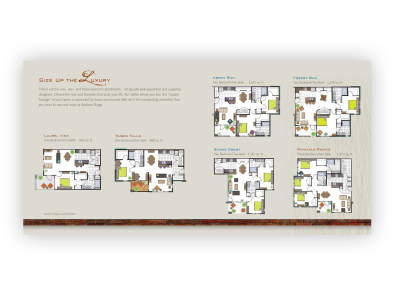 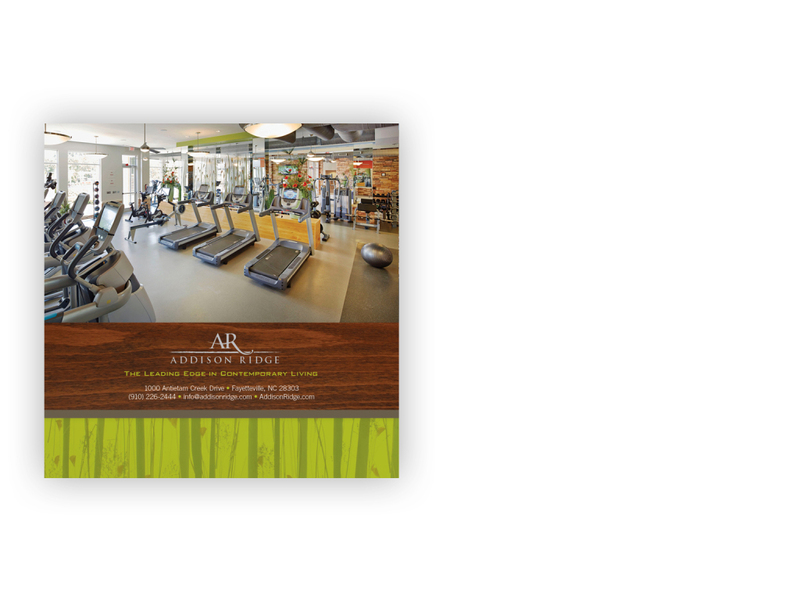 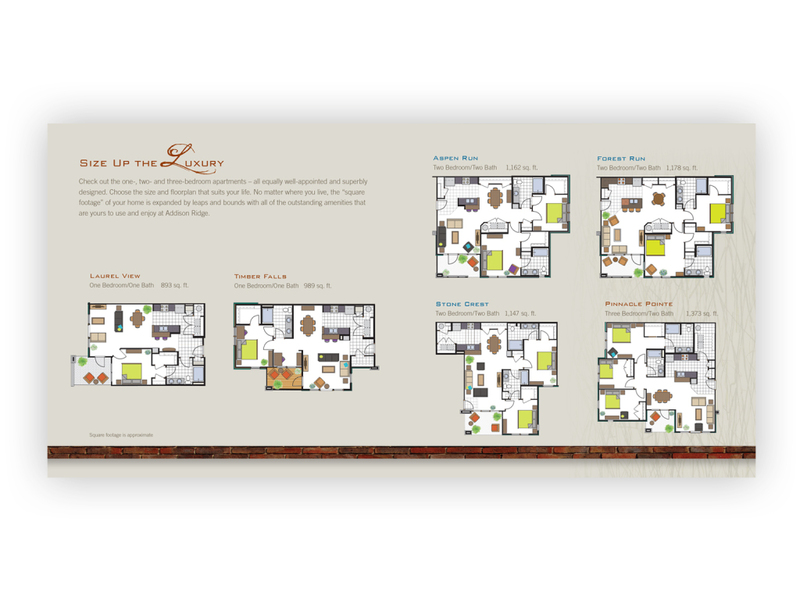 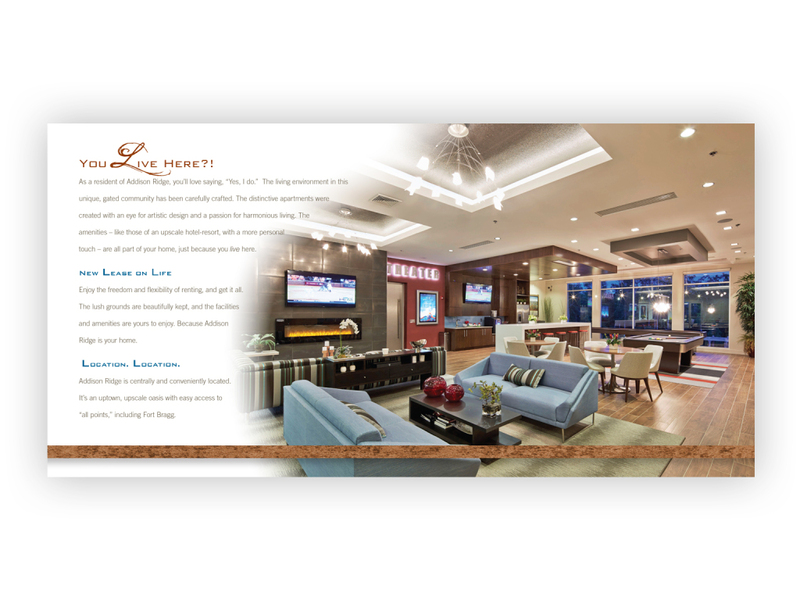 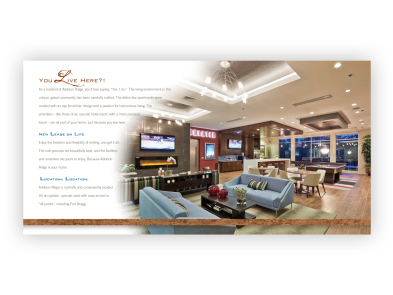 With stunning photos, crisp design and inviting copy, the brochure centers around the theme that when you live at Addison Ridge, “good living” doesn’t end at the door of your artistically-designed apartment. The pool with exquisite surroundings, state-of-the-art fitness center, plush “private” theatre and many other amenities are all yours … as part of your Addison Ridge home.